Information on DNA testing and why FamilyTreeDNA is the company to use. The DNA projects being run by The Lost Colony Genealogy & DNA Research Group are being hosted by FamilyTreeDNA. Family Tree DNA was picked due to its advancements in genetic genealogy, and its record of service to its members. Since its inception, in April of 2000, Family Tree DNA has been associated with the Arizona Research Labs, led by Dr. Michael Hammer, one of the world's leading authorities in the field of Genetics. Having other renowned scientists on its advisory board, Family Tree DNA is the world leader and only organization in the field of Genetic Genealogy that has been constantly developing the science that enables many genealogists around the world to advance their families research. Family Tree DNA provides the tests for this partnership between the National Geographic Society, IBM and the Waitt Family Foundation. Click here to learn more about the Genographic Project. For yline testing (surname), for our project we recommend the 37 marker test. At a minimum, the 25 marker test. For women, the mtdna plus is required. Tests can later be upgraded but it costs more to do the smaller test and then the upgrade than doing the larger test in the first place. Question – I have already had my DNA tested with Family Tree DNA. Can I join the Lost Colony Project with the test I’ve already had performed or do I need to have a new test? Yes, and no new test unless needed. Question – I’ve already tested with the National Geographic Society Genographic project. Can I join? Yes. You can see the results for the Yline project at www.familytreedna.com/public/lostcolonyydna. You can see the results for the mitochondrial project at www.familytreedna.com/public/lostcolonymtdna. Please note that these are public, open participation projects. While we hope that only people join who are affiliated with these families or this area, not all people in the project will turn out to be from this area or of interest to this project as a whole. If you are a researcher hoping to analyze and/or draw conclusions from this data, you MUST contact the administrators for information and assistance. Otherwise, your conclusions will include potentially irrelevant and erroneous data. The administrators will be glad to assist you. 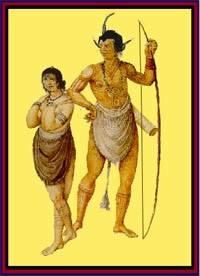 Question – If I join the Lost Colony DNA project, will I be able to see the surnames of people whose DNA I match? Yes. Question – Since the Lost Colonists were never found, how can you compare our DNA against theirs? That’s a great question. Think of this as a puzzle where the surrounding pieces will define the shape of a missing piece. We will be using several tools to infer the colonists DNA, if they did in fact survive. For example, if we find DNA in the Native Tribes that matches known surnames of colonists, that’s a huge hint. If we can find family members from England related to the colonists, and they test, they provide a baseline for the colonists DNA. If we find European mitochondrial DNA in the native tribes, that’s a significant finding as well. Many pieces of tiny data will be combined to attempt to discover whether or not the colonists survived, and if they did, where they and their descendants went.